“Business processes breaking down in the best of large global corporations over the last decade or so with a higher frequency than ever before, seems to prove Murphy’s law that everything that can go wrong in a business process will go wrong. This, unless organizations have robust risk management frameworks in place. What that also implies is that such frameworks would remain a theory unless there are Risk managers and subject matter experts in the Risk domain to bring such frameworks to life. Having worked over the last many years with board members and senior executive leadership teams of Fortune companies globally and in India, one common theme that stood out to me is the complete lack of structured education in the risk management domain and the resultant constraint these organizations get impacted by. Having been with large consulting outfits for many years with close access to talent acquisition and development process in various organizations, I am convinced that creating an ecosystem for the world of risk professionals would be an invaluable contribution to the business community. I am excited at the levels of commitment large consulting firms have shown both in sharing knowledge to help build practical course content for GRMI, and in promising to hire from the institute. It is also very encouraging to have large Corporates promise to support our internship program by providing hands-on learning to our students while they are still with GRMI. Some of them have also promised pre-placement offers for our students. Such spontaneous support creates the kind of ecosystem our graduates can flourish in. As the Mentor for GRMI, I can assure all of you that the team has put in endless hours to bring together some of the best minds that we have today in India and globally in the world of Risk — across consulting firms, large corporates and academia. 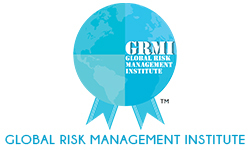 Given the universal nature of Risk, and having seen Indian risk professionals achieve tremendous success in the global arena, I was clear that GRMI needed to have a global outlook from its inception — our composition of the Board of Governors and our Vision statement speak to the same. I am indebted to the members of our Board of Directors, Strategy Board, Board of Governors, and Academic Council for their commitment to mentoring and shepherding GRMI to become a pioneering institute for students in the Risk domain. Subhashis is a Senior Global Partner and Executive Director at Axis Risk Consulting Services Pvt Ltd, a Genpact company. He was the founder partner of Axis Risk Consulting in September, 2004. Prior to Axis, he spent nearly 2 years with the Global Center of Excellence of Ernst & Young, and about 9 years with Arthur Andersen. He was part of the core team that built Risk Consulting practice of Arthur Andersen in India. Subhashis has been focusing on Enterprise Risk & Compliance for the last 20+ years and brings deep domain knowledge around specific solutions, such as Anti Corruption, ERM, Third Party Risk Management, Internal Audit & SOX. He has experience in building Centers of Excellence for global majors, along with implementing hybrid delivery model, combining on-shore and off-shore solution delivery.